The 2014 installment of the $1,000,000 Big One for One Drop now has two new entrants joining the 41 already confirmed players with Erick Lindgren and Connor Drinan now holding a ticket to Sunday's Big One for One Drop. With the Big One for One Drop steadily filling up, one seat was already reserved for the winner of Saturday night's $25,300 Big One for One Drop satellite. However with multiple reentries and sub-satellite feeders, the field of 90 players created a $2,250,000 prizepool which would mean two Big One for One Drop seats would be up for grabs along with $250,000 in cash. Only 3 players who have already confirmed their seat took part in today's tournament - Paul Newey, Fabian Quoss and Daniel Colman - but a plethora of notables ranging from online heroes to multi-bracelet winners all took a chance at parlaying $25,300 into a Big One for One Drop seat. The likes of Roger Sippl, Josh Arieh, John Hennigan and Nick Schulman all fired multiple bullets while players such as Faraz Jaka, Galen Hall, Olivier Busquet, Ole Schemion and Jason Somerville didn't last too long once they eventually took their seat. With a turbo structure, it wouldn't be long until we were down to the final table of eight as Connor Drinan held the chip lead over JC Tran and Nam Le. Le doubled Scott Vener up and then was out in 8th his couldn't win a race against Joe Hachem. David Goldberg fell in 7th before Vener lost a huge race holding against Drinan's pocket jacks to give Drinan half the chips in play. 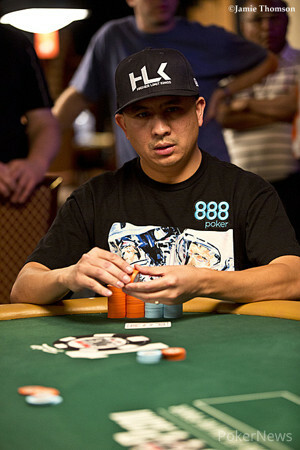 The 2005 World Champion in Hachem would then be crippled to an ante when he ran into Tran's pocket aces before exiting the next hand to leave four players fighting on the bubble. 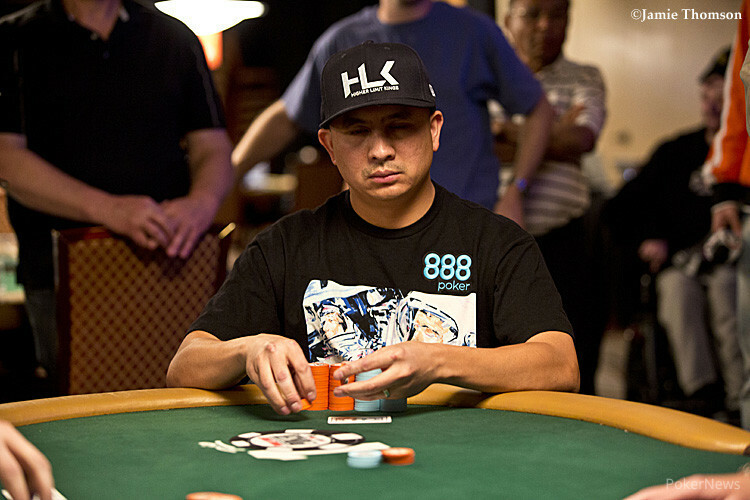 Having been one of the chip leaders for the majority of the day leading up to the final table, Jason Koon would unfortunately become the bubble boy when shipped all in with a weak ace and ran into Tran's dominating . With Tran, Drinan and Lindgren now having $250,000 locked up, chips moved back and forth before Lindgren soared to the chip lead when his held up against Drinan's . Just a few hands later Lindgren would shove the small blind with and Tran would snap him off with to be in great shape until the board ran out to see Tran take 2nd place for $250,000 while leaving Lindgren and Drinan with $1,000,000 seats into the Big One for One Drop. With Lindgren and Drinan now the most recent entrants into the Big One for One Drop, there are just 14 spots remaining until it is capped out. The PokerNews Live Reporting Team will be providing exclusive live coverage of all the $1,000,000 Big One for One Drop action from 1:00 p.m. (PDT) this Sunday, so make sure to stay tuned right here to PokerNews.com! With the action on Erick Lindgren in the small blind, he moved all in and JC Tran called from the big blind for his last 1,185,000. With Tran in great shape to double having Lindgren drawing to three outs, the dealer spread a flop to produce gasps from the many onlookers on the rail. Now needing to spike a two-outer, Tran would see the and land on the turn and river to end his run in 3rd place for a $250,000 payday. From the button Connor Drinan moved all in and Erick Lindgren went deep into the tank in the small blind. Lindgren stood up, sat down and then decided to call for his 1.855 million in chips as JC Tran swiftly mucked from the big blind. With Lindgren in the lead, the flop gave Drinan an additional two outs as the landed on the turn. 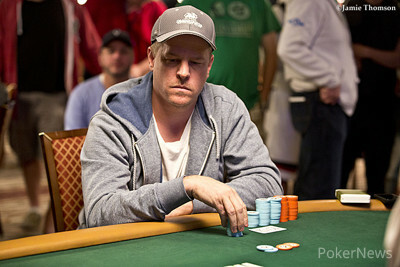 The dealer then delivered the on the river to ensure Lindgren the double to 3.875 million in chips. Currently the three remaining players are passing chips back and forth as they look to make the right decision in an effort to capture the $1,000,000 entry into the Big One for One Drop. JC Tran opened to 160,000 and Erick Lindgren made the call as the flop fell and Tran continued for 175,000 with Lindgren check-calling. The and on the turn and river was checked down by both players as Lindgren tabled his to win the pot. Erick Lindgren raised his button and Connor Drinan called as both players checked the flop. Drinan bet out 200,000 on the turn with Lindgren calling as the on the river came with a 400,000-chip bet from Drinan. Lindgren made the call, but then mucked when he saw Drinan's for a flush. $75,900 Later ... Schulman's Back! Who Will Win Their Seat into the $1,000,000 Big One for One Drop?